April 19th, 2018 – Escondido, Ca. 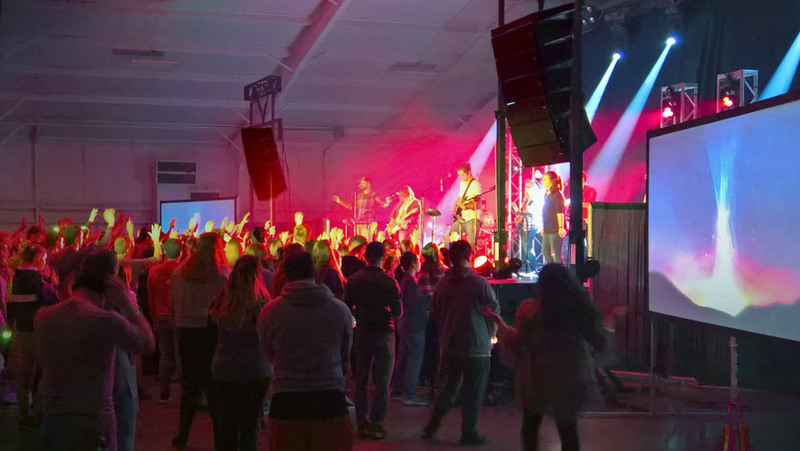 Grace Church in Indianapolis is a thriving young church with an equally energetic and passionate youth ministry. 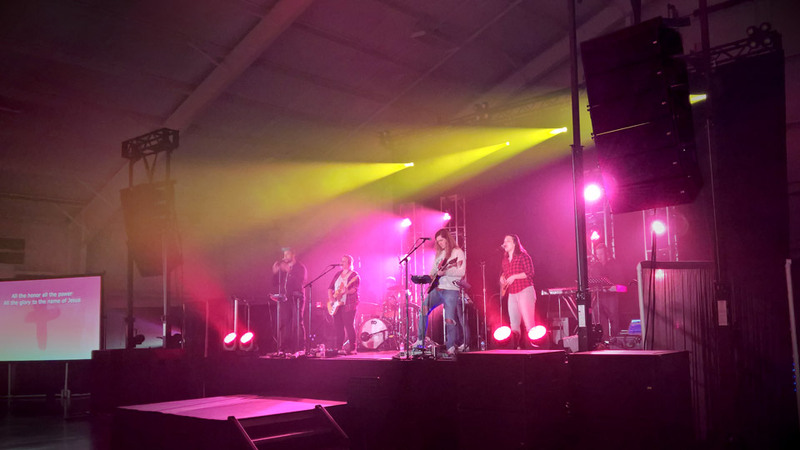 For their annual winter youth rally last February, Cincinnati-based Access Audio and VUE teamed up to provide the Church a complete production solution that would deliver spoken word, while offering enough horsepower to delight and inspire their enthusiastic young audience. 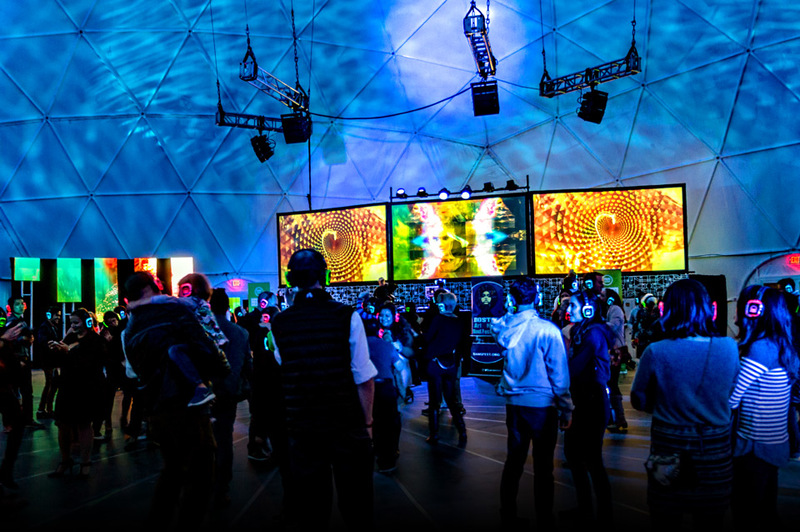 With everything from staging, lighting and power systems required at the offsite location, it was the audio challenges that were most obvious to Access Audio’s Director of Operations, Chris Knueven. “The acoustic hurdles in this room were severe,” explains Knueven. 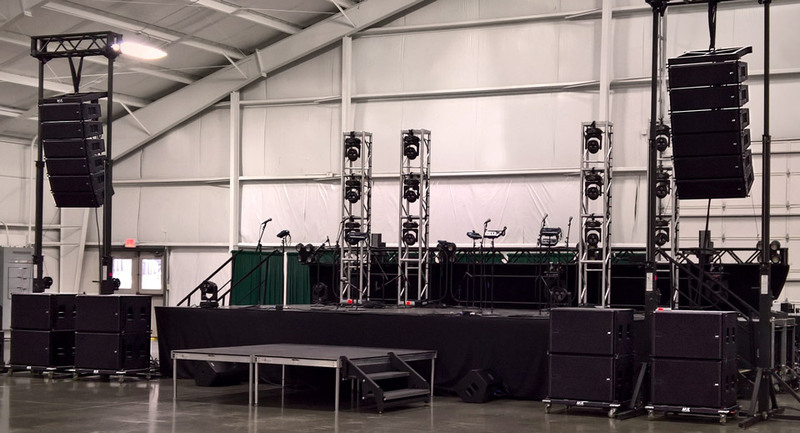 “The main stage was located in a large 150’ x 112’ multi-purpose room that is essentially a gymnasium with a concrete floor and metal walls. With content that included everything from rock, to spoken word, reverb time and reflections were an obvious concern. In addition, structural limitations prevented flying the PA from the room’s ceiling, so we needed to bring in lifts as well. 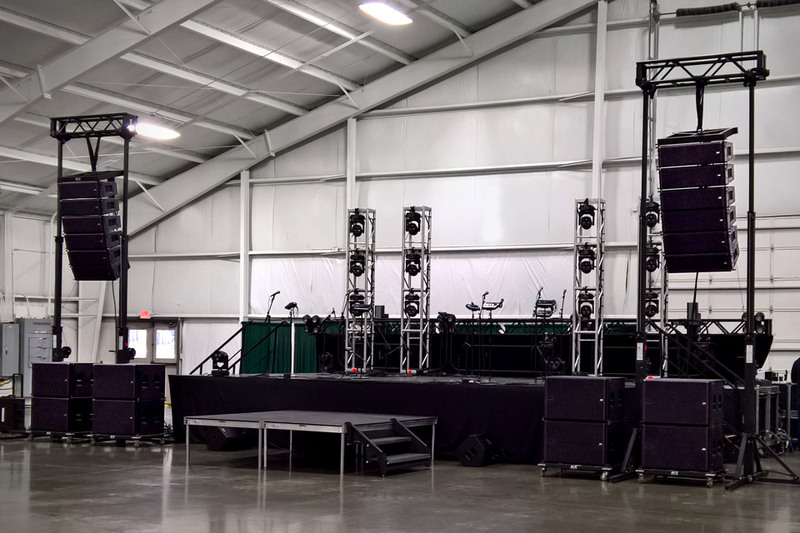 With coverage precision, intelligibility and easy rigging topping the list of “must haves” for the Grace event, Knueven wasted no time specifying VUE al-8 line array stems complete with companion al-8SB flyable subwoofers for low-frequency extension. Knueven’s final design for Grace Church’s event included left and right al-8 arrays comprised of 6 elements each. VUE al-8SB 18-inch subwoofers were ground stacked for low-frequency support. 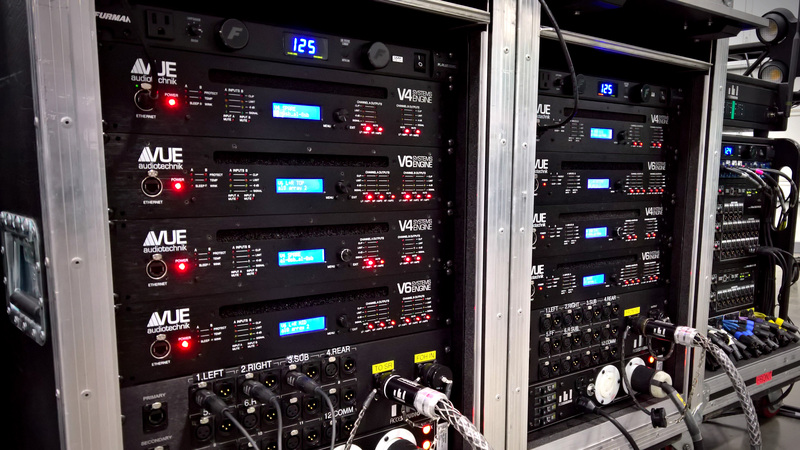 Power and processing for the arrays were supplied by the VUEDrive V6 and V4 series Systems Engines. At FOH, a Yamaha CL-5 handled the mix and was networked via Dante to a Lake LM-44 for overall system processing and routing. Main drivelines to the VUE racks were also over Dante, with both Dante and AES/EBU connection to the VUEDrive System Engines. 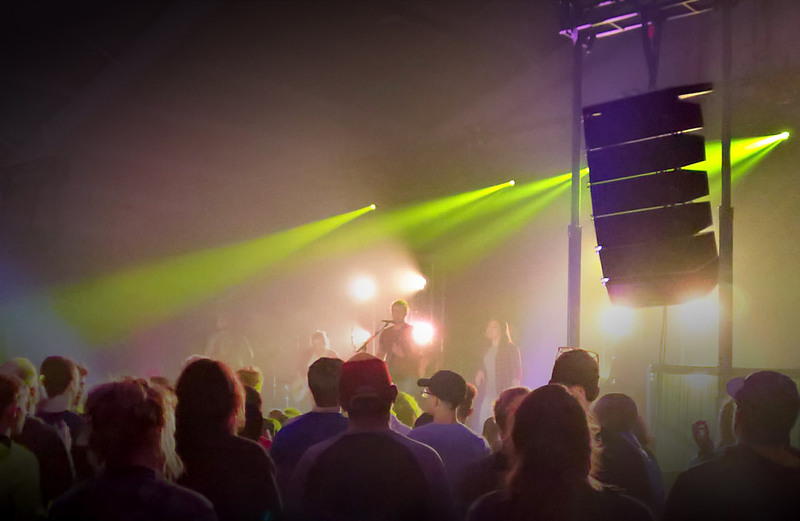 Ultimately though, the most important component of a successful event are happy customers, and in that measure, Knueven is proud to share a Google review written by Church leadership immediately following the festival. Access Audio will next be deploying VUE al-Class line arrays for the Cincinnati Firefighter’s Awards Banquet on April 19th 2018 at Jack’s Casino in downtown Cincinnati.